Description: Koh-yo (koo-yo or kôyo) is an odd Japanese variety with colourful bodies that take its name from the colours of the leaves in autumn. The old part of the stem is green, but new growth is bright yellow and red with a wide range of intermediate colours. This cultivar is not a variegate because the yellow and red colouring is not permanent, but occurs prevalently on the new growth near the stem tip and along the ribs, but gradually turn to dark green. The colouring accentuates during winter dormancy and is greatly influenced by cool temperature. In spring-summer the bright coloured areas fade and the plant takes a more uniform green appearance. The colouring not only varies during the year, but each individual plant has its own unique particular colouration. Crested form: The crested form Astrophytum myriostigma cv. Koh-yo f. cristata - despite to its beauty - is still very rare and sought after by collectors, for its unique features. Stem: Fan shaped. The stems is smooth lacking or mostly lacking white flecks and can be 5-10 cm thick. 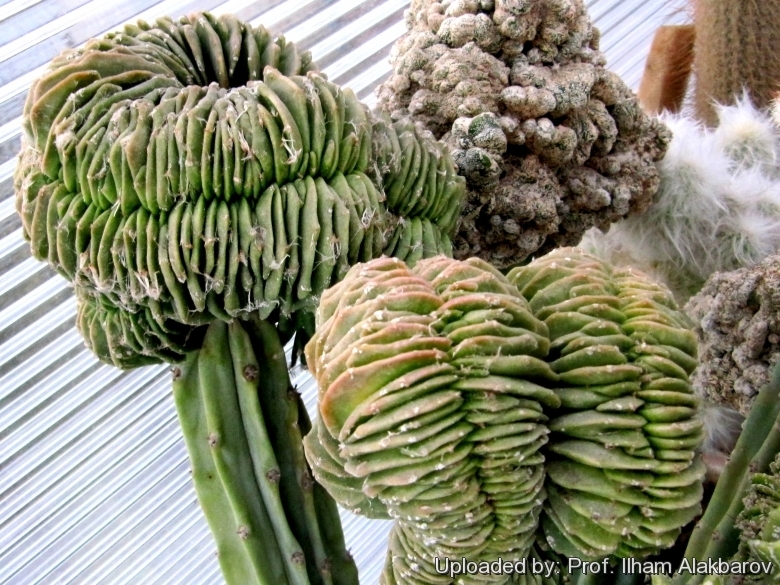 Cultivation and Propagation: Variegated and coloured cacti are regarded as choice and difficult in cultivation, but despite that the Astrophytum myriostigma cv. Koh-yo are relatively easy to grow. They are sometime seen as grafted plants, but grow well on their own roots too. Exposure: They cannot tolerate prolonged exposure to direct sun light (especially during the hottest summer days), so grow them in half-shade or under filtered sun. Spoil: Use mineral well-permeable substratum with little organic matter (peat, humus). Watering: Water sparingly from March till October and keep perfectly dry in winter at temperatures from 5 to 15 degrees centigrade. (In general these plants are more tender and cannot endure freezing temperatures ) In the rest period no high atmospheric humidity! !